I’ll tell you what floats ours, Lake St. Clair in Michigan. 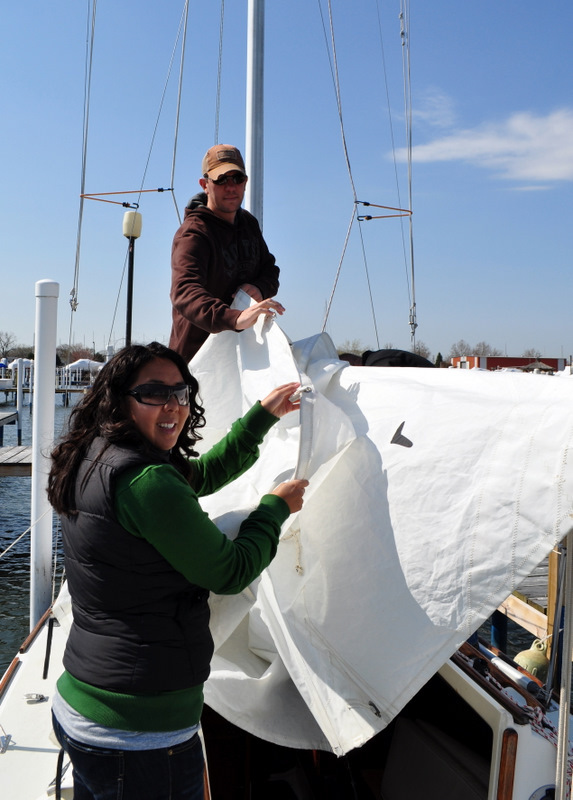 That’s our sailboat, we decided to buy into a partnership of this O’Day weekender. The other owner, Nathan, is someone we work with and truly enjoy spending time with. 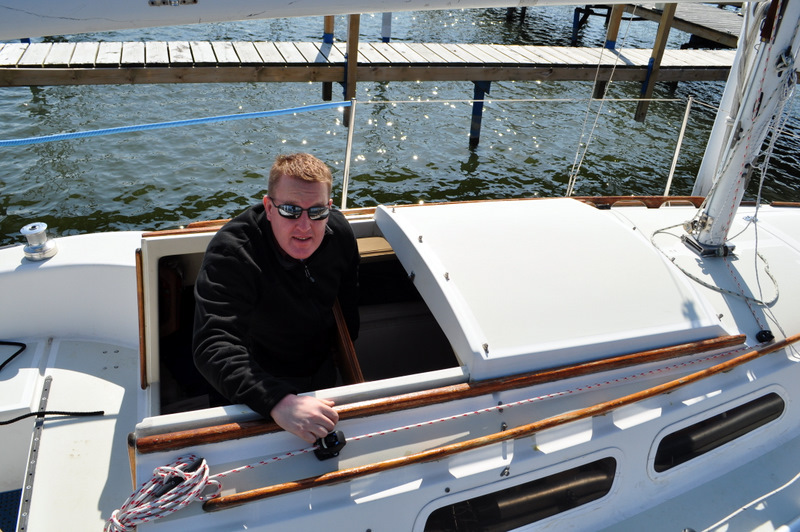 I have no experience sailing, there aren’t too many places in Central Illinois to sail, but Josh enjoys it and we were looking for something that would make our time in Detroit a little more enjoyable. 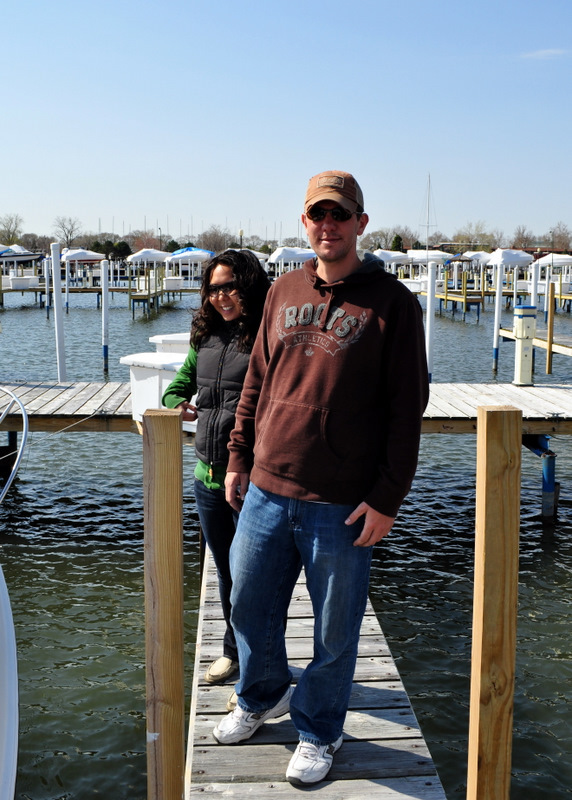 As you might recall our company is based in Michigan; we often spend weeks and weekends hanging around. I am already looking forward to getting out of the office today and getting in the water. Luckily the partnership also comes with lessons. The former partners are the Bunchs, we traveled with them on Lincoln Tour. If you want to meet Nathan then hop on over to the blog his girlfriend Traci writes. Might be fun to here the other side of sailing stories. This entry was posted in Outdoor Fun and tagged The Sailboat. Bookmark the permalink. Keel haul the boson. Up the main sail. Lower the top sail. Poop the deck. See, I know all about sailing. Avast yee wild furred wood ticked land lubber! I like the cut of yer jib. Boat looks great! I am so looking forward to a chance to sail. What is the name of the boat again? It is almost like having a new grand dog in the family!